When replacing a missing tooth, you really have two good options: a dental implant and a dental bridge. An implant only affects the missing tooth. 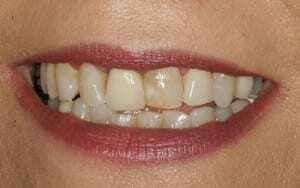 A dental bridge, however, uses three teeth—the missing tooth and the two adjacent teeth on either side. Crowns are placed on the adjacent teeth, with a false tooth suspended between them. Aside from the obvious appearance issue, there is a medical reason for replacing your missing teeth. The open space left after the tooth extraction can cause the remaining teeth to drift. This will change your bite, which could lead to problems such as TMJ disorder, headaches, or periodontal disease. 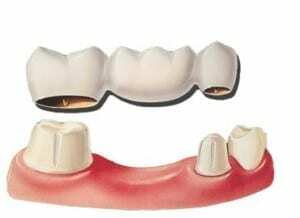 A dental bridge spans the space where one or more teeth are missing and helps maintain the natural shape of your face by providing support for your lips and cheeks. By restoring your bite, the bridge also allows you to properly chew your food and protects the adjacent teeth from damage. You don’t just want a dental bridge. You want someone who can give you a beautiful, natural smile. Here are some cases done by Dr. Burba. If you are ready to replace your missing teeth, you may call our office to schedule an appointment, or if you prefer you may click here to request an appointment online.